How to install and use Piezography ink on the 4800 and 4880. Turn off the printer, raise the ink levers, and remove the remaining Epson cartridges from the printer. Install the flush or ink cartridges in the printer, and lower the ink levers. During this fill sequence, the printer will ask you to raise and lower the levers several times. If you notice ink cartridges disconnecting from their sensors due to the wiggle of the ink levers, carefully and gently place small cardboard shims under the ink cartridges where they go into the ink bay. This will keep them in place during the init-fill procedure. Every once and a while a cartridge chip will not read properly during the initial fill procedure. This can make the printer get stuck in an init-fill cycle (turning the power off does not cancel the init fill). Click here for instructions on how to cancel the initial fill on your printer. If you have just installed Piezography ink, print a nozzle check pattern. If the ink channels are still stained with the original color inks, run a KK2 cleaning cycle to clear out the old inks. The KK2 cleaning option is found in the SELF TESTING > CLEANING menu. After the KK2 cleaning, print another nozzle check pattern. You should find that the color stains are gone and the printer is ready for Piezography printing. 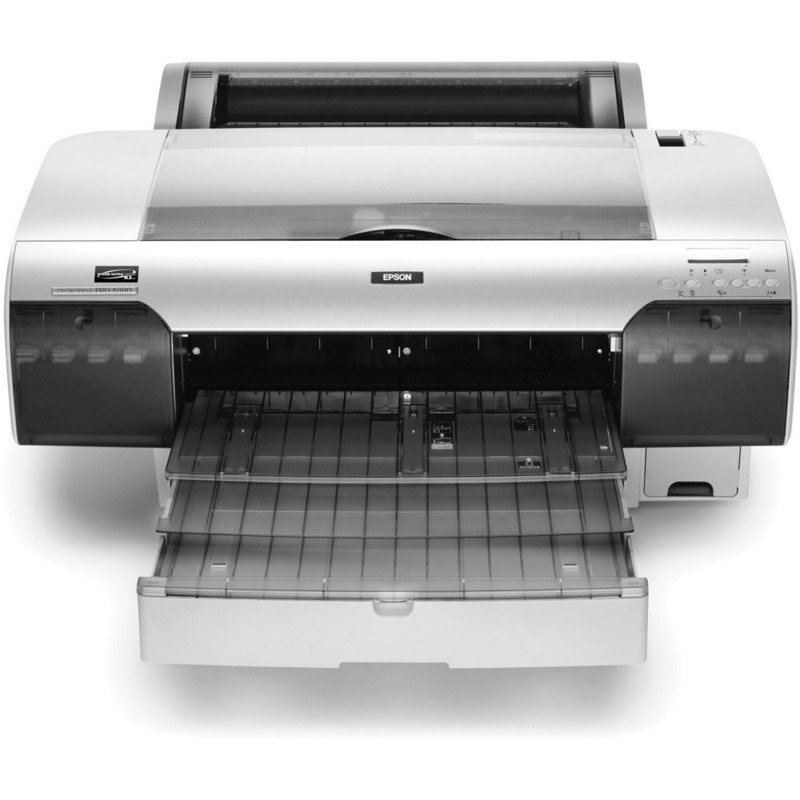 Epson 4800, 4880 are different generations of the same 17″ printer. These printers can all be configured as glossy compatibles because they have 8 ink cartridge positions. We wish their paper handling was better. They can sometimes be a bit frustrating when thicker paper is loaded in the tray. But, they are built well. Use 4800-7800-9800-PiezoDN curve folder for digital negatives with this inkset or use 4880-7880-9880-PiezoDN curve folder for digital negatives with this inkset. Use 4800-7800-9800-PiezoDNP2 curve folder for digital negatives with this inkset or use 4880-7880-9880-PiezoDNP2 curve folder for digital negatives with this inkset.